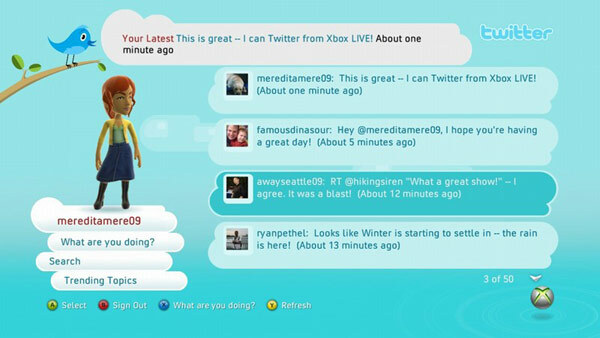 Remember all those fantastic features that Microsoft promised were in the works for its Xbox 360 back at E3? Get ready folks, because they're all arriving in five days. At an undisclosed time on November 17th, users will be able to login to Xbox LIVE and check out the totally bodacious new portals available to kill time and act social without actually combing your hair. As we'd heard, Facebook, Twitter and Last.fm (US and UK only) modules will all be featured, not to mention on-demand 1080p / 5.1-channel HD video through the Zune Video outlet. In case that's not enough (and be honest, it's never enough), users will also see a new "News and More" section in the "Inside Xbox" channel with streams from MSNBC, The New Yorker and Dilbert. Yeah, Dilbert. Hop on past the break for a few video demonstrations, and then get back to your Modern Warfare 2 binge before your teammates see you slacking off.